Starbucks Puerto Rico | What is cascara? 26 Dic What is cascara? 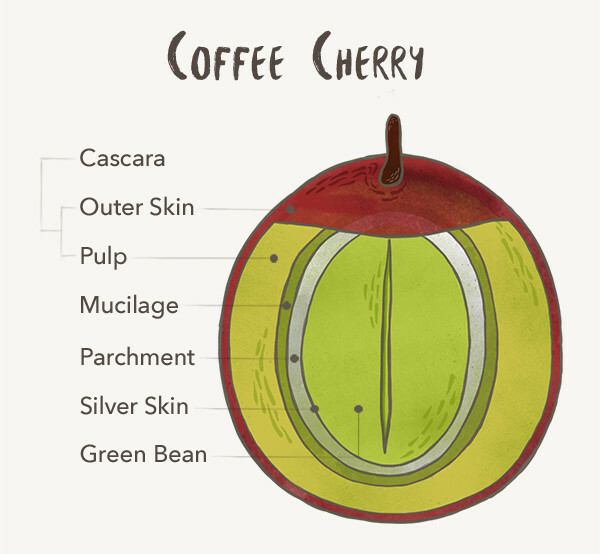 We’ve always cared about what’s inside a coffee cherry—the coffee beans. But cascara, the fruity outer layer of the cherry, is having a moment. After processing coffee cherries—removing the fruit from the beans—farmers have historically turned the pulp into fertilizer or compost. Some mills use it as a source of fuel, but other times, it’s discarded altogether. In coffee-growing countries like Ethiopia, there has been a long-standing tradition of brewing a tea-like beverage with the husks of coffee cherries. Beyond that, there hasn’t been a ton of innovation around cascara as an ingredient. Until now. We’ve recently seen all kinds of creative beverages highlighting cascara’s subtle sweetness. There are cascara sodas, coffee cherry syrups used in cocktails and even cascara-infused beer. Just like coffee, cascara’s flavor profile can depend on where it’s grown. “You find a lot of hibiscus notes. In some, I’ve had papaya. In others, I’ve had green apples,” Aida Batlle said. A fifth-generation coffee producer from El Salvador, Batlle is considered an industry expert on cascara. 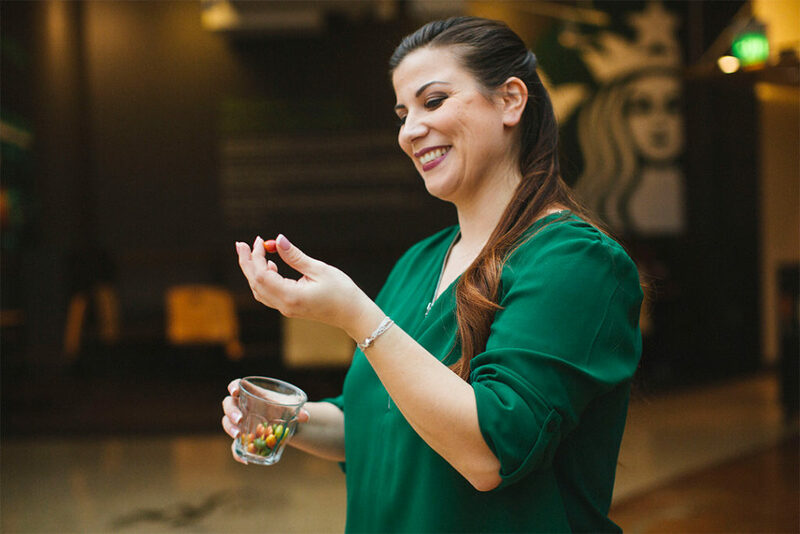 At Starbucks, we’re constantly searching for new ways to innovate around coffee. When our Research and Development team set out to create a new espresso beverage last year, they wanted to focus on unique ingredients with a compelling backstory. They considered dozens of options, but cascara stood out. Cascara is also a flavor we’ve highlighted through our Barista Innovation Challenge at the Starbucks Reserve® Roastery and Tasting Room. “This just felt like a great way to bring in some subtly sweet notes and really do the whole coffee story, full circle. We’re bringing it back to the original source of where we get our coffee beans and using [cascara] in our beverage,” said Erin Marinan, a Starbucks product development manager who worked on the project. After months of research and testing, they landed on the final recipe for our new Cascara Latte. The team developed a syrup and a topping both made with cascara*. With maple and brown sugar notes, the cascara complements our signature espresso. We hope you get a chance to experience cascara and the team’s innovation for yourself. 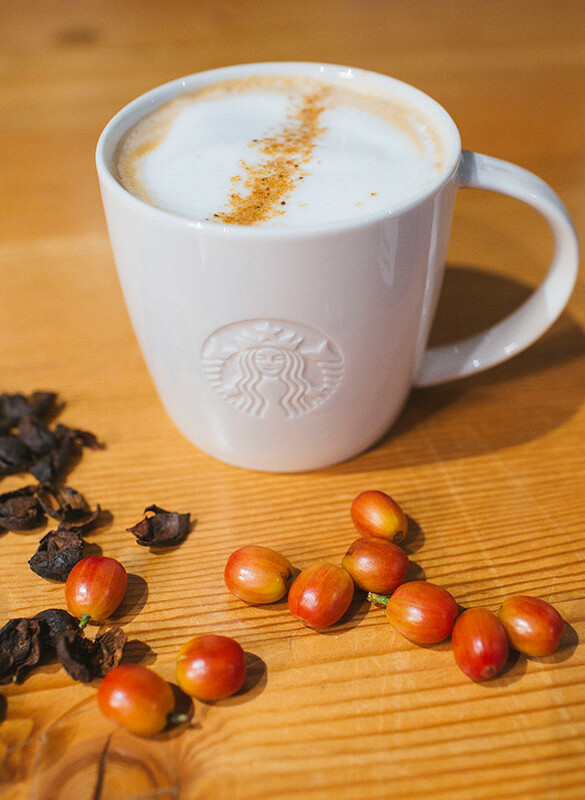 Our Cascara Latte is now available at participating Starbucks® stores across the country. Cascara is a Spanish word that means skin, husk or shell.